Apparently roasting a whole cauliflower head is a trendy thing. Do an internet search and a million recipes pop up with different sauces and toppings. Who knew about this and was holding out on me?? 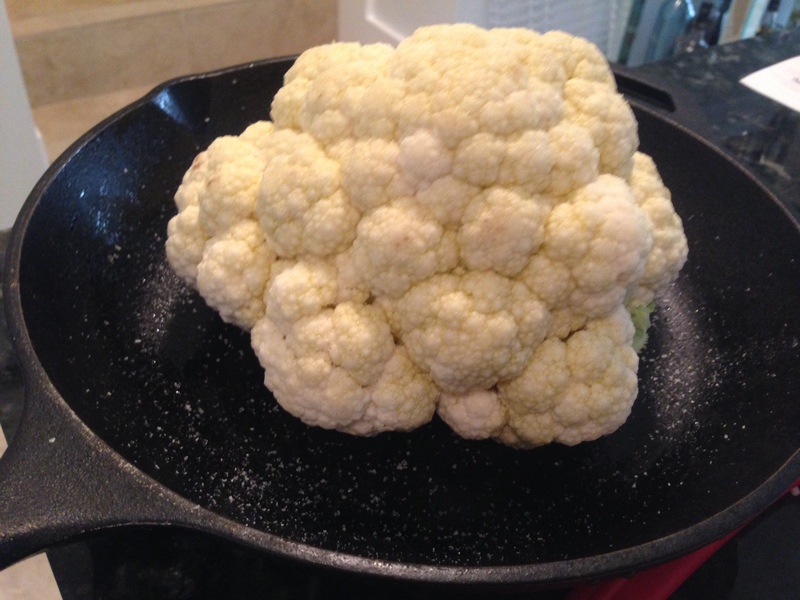 After receiving cauliflower for the third straight time in my organic co-op share I was in dire need of a new way to cook it. 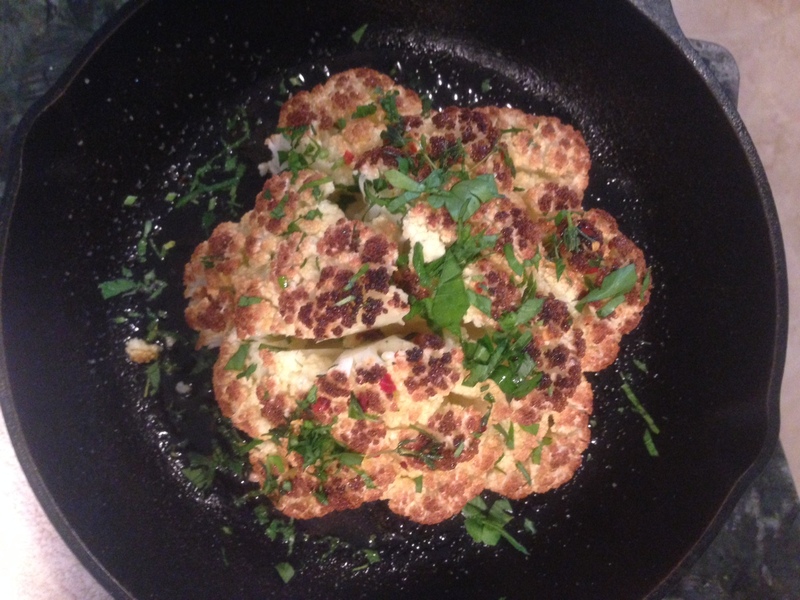 After some quick research I came across multiple recipes for roasting an entire cauliflower head and decided to keep it simple (like I almost always do) and opt for a lemony thyme dressing that was kicked up a notch with some red pepper flakes. The roasting process is pretty much the same–the topping is where you get to be creative! 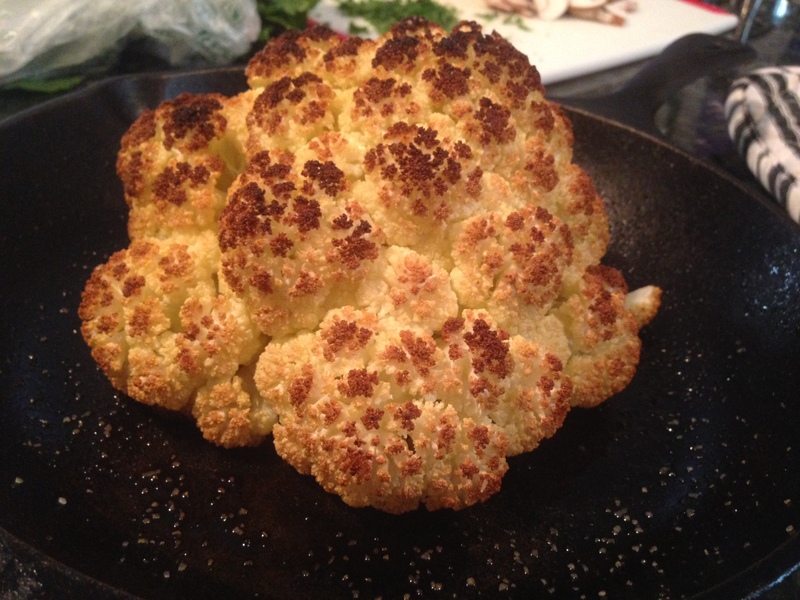 Take an entire cauliflower head and trim the outer leaves and cut the stalk so that it’s flush with the bottom and it can sit upright. Place in a baking dish or cast iron pan and coat with olive oil and season with salt. Bake for approximately 45-60 minutes or until it can be easily pierced with a knife. If it’s not brown enough you can place under the broiler for a few minutes–but keep an eye on it so it doesn’t burn! For the dressing: In a small bowl whisk the remaining olive oil and the rest of the ingredients. Season with salt and pepper to taste. Garnish with the parsley.